"Namatjira wasn't just a key figure in our history, he changed our history." 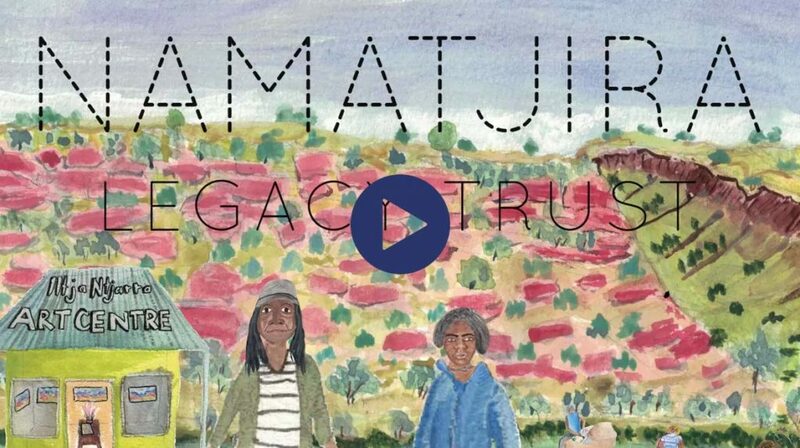 Namatjira Legacy Trust - What is it? Albert Namatjira remains one of the most revered names in Australian art history. The Namatjira family hold of some of the country’s most significant heritage, and yet today face many challenges. 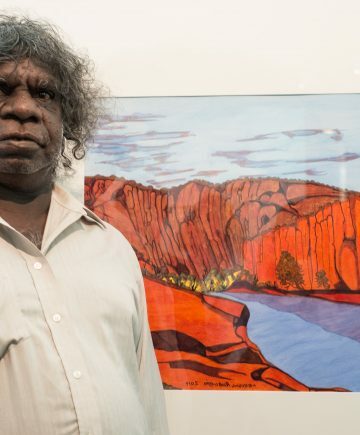 For the Namatjira family and Western Aranda communities, the watercolour movement is their strongest asset – internationally recognised, and an avenue to generate income at the same time as connecting to country, heritage and culture. “We’re happy we finally got it back. The whole family is really happy and proud.” – Gloria Pannka, granddaughter of Albert Namatjira. In 2017 the Trust successfully secured the transfer of the copyright to Albert Namatjira’s works – a great victory for social justice and reconciliation. The Namatjiras did not earn a cent from their grandfather’s artworks from 1983 – 2017. With resilience, patience and determination, the family campaigned for decades to secure benefit for their next generations. Now, copyright proceeds will resource community initiatives and the Trust will ensure Namatjira’s treasured artworks are celebrated nationally and internationally. Betty Wheeler is Albert Namatjira’s granddaughter, daughter to Martha Namatjira. Betty was born in Hermannsburg and lives there with her husband, Pastor Marcus Wheeler and children. Betty is a jewellery maker, sings with the Hermannsburg choir and paints in the tradition of her grandfather. Betty is a watercolour artist, painting with Iltja Ntjarra Many Hands Art Centre and learning from her cousins. Betty has been working with Big hART’s Namatjira project since 2010, touring with the theatre production and providing cultural guidance and consultancy. 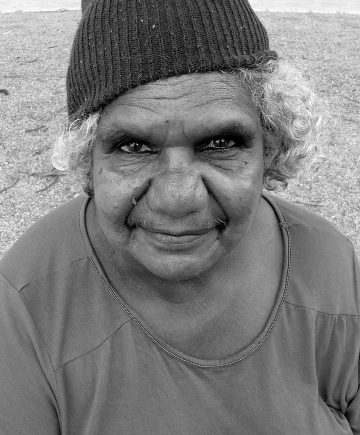 Gloria Pannka is a senior Western Arrarnta woman who lives in Thakaperte (near Hamilton Downs). 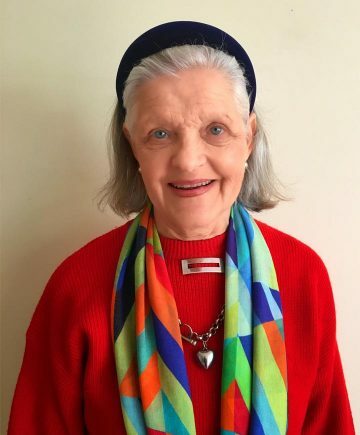 She is a second generation Hermannsburg School watercolour artist - her father Claude Pannka was one of the original Hermannsburg School watercolour artists, learning from Rex Battarbee, and teaching Gloria to paint when she was a young girl. Gloria’s work has featured in many exhibitions nationally and internationally throughout her career. In 2008 she received a Highly Commended award for her painting in the NATSIAA awards which was then acquired by the NT Museum and Art Gallery. Gloria’s painting ‘West MacDonnell Ranges’ was acquired by the Parliament House Art Collection Canberra.. Gloria was again Highly Commended at the NATSIAA awards in 2014 for the collaborative Knara Nunaka Tjurretja – Our big country: the West Mac Donnell Ranges. 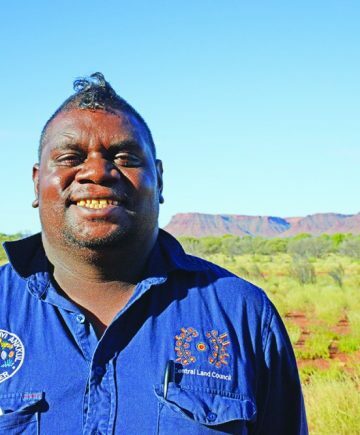 Clayton Namatjira is a great grandson to Albert Namatjira, his grandfather Keith was Albert’s driver and his grandmother Elizabeth Namatjira used to tell him the old stories of Albert Namatjira. Clayton was born in Alice Springs in 1987, a year before the big rains. His mother took him to see his grandparents, in Western Walpiri country, and while he was young he moved around a lot between the two sides of his family, spending most of his time in communities in Papunya, Mt Leibig, and the majority in Haasts Bluff where his father’s side of the family was. In 1997, when he was 11 years old, Clayton moved Tennant Creek with his mother - she wanted to give him opportunities and he wouldn’t be the person he is if not for his mother’s actions. Clayton attained a Certificate 3 in Conservation and Land Management with Batchelor Institute, and will graduate with a Certificate 4 in 2018. He was a Senior Central Land Council Ranger with the Muru Warinyi Ankkul Rangers of Tennant Creek for 7 years, working with traditional owners to protect the environment and endangered species, mentoring younger rangers and traveling the country to promote the value of the work. In 2015 he received the prestigious Conoco Phillips Environment Award at the NT Young Achiever Awards. Clayton now works with Anyinginyi Health Aboriginal Corporation as an alcohol and other drugs worker with their Piliyintinji-ki Stronger Families program. ‘All the Namatjira mob leave the stories for me so I can pass them on. 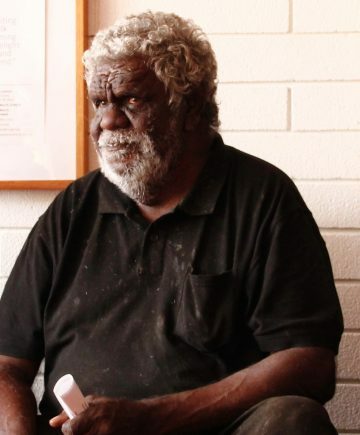 Albert taught his sons the stories of our country, and my uncles, they taught me.’ Mostyn is the oldest living grandson of the great painter, Albert Namatjira. He used to drive around with his grandfather, in the white ute with a caravan. Albert’s son Keith was the driver, and Mostyn and his cousin Betty were in the caravan. Mostyn was close to his grandfather, used to watch him painting while Albert would tell them stories about his country, and about his father, Jonathon. Mostyn was just a little baby when his mother - Albert’s daughter - Hazel, passed away. He went to live with his father who was working as a stockman, and his aunty grew him up. When he got older he went back to live with his grandfather and grandmother, Rubina. Mostyn worked as a builder, welder and stockman. He lives at his outstation, Kwarle, just outside of Ntaria community (Hermannsburg). Mervyn was born at the Telegraph Station in Alice Springs. His father, the late Mr Wenten Rubuntja, was an important role model for Mervyn. He was a senior lawman and a respected member of his community. He fought for Aboriginal rights and protection of the land, founding Tangentyere Council, working alongside the Central Land Council and assisting in the Mabo agreement. Mervyn has followed in his father’s footsteps, both as a community leader as well as painting in the watercolour style. He learnt from his uncles Maurice, Oscar and Keith Namatjira painting like their father Albert, as well as from his uncle Arnulf Ebatarinja. Mervyn’s artworks have been exhibited prolifically around Australia as well as internationally. Mervyn is Chair of the board for Iltja Ntjarra Many Hands art centre, Chair of the board for Tangentyere Council, and board member of the Akeyulerre Healing Centre and the Namatjira Legacy Trust. 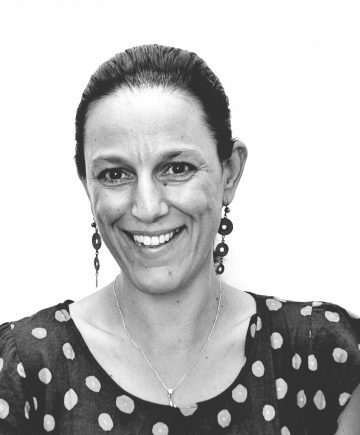 Sophia has been lucky enough to work with the Namatjira family and Western Aranda communities since 2009, as the creative producer of Big hART’s multi-platform Namatjira project. This has included a creative community development project, workshops with artists and young people on spectacular Western Aranda country, a nationally and internationally touring theatre production, an App for iPhone, CD albums, numerous short films and the Namatjira Project documentary. Sophia graduated in 2005 with a BA in Communications and International Studies, and has worked in diverse areas of social justice and the arts, both internationally and locally. She is also the mother of two daughters who have both been warmly welcomed into the Namatjira family! 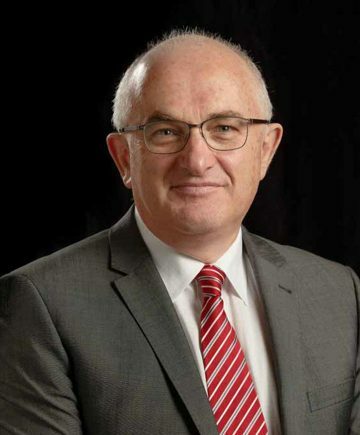 Colin Golvan is a Queen’s Counsel, specialising in intellectual property law. He has had a long involvement in the protection of indigenous arts and culture. He is also the author of a number of plays and books (legal, fiction and non-fiction), and a Board member of a number of arts organisations, including Museums Victoria, the Australian Book Review and Malthouse Theatre Company. 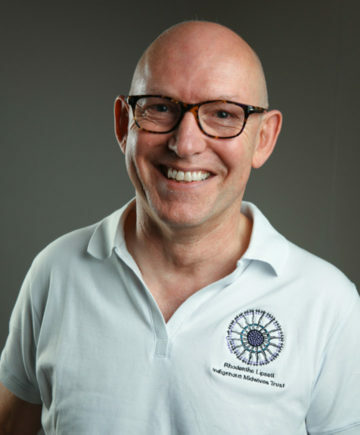 Steven undertook his accounting apprenticeship with a medium sized chartered accountancy firm, Thomas Davies & Co, until he qualified as a Chartered Accountant in 1983. In 1985, he worked as the head accountant with a large manufacturing and wholesale company before founding Steven J Miller & Co on 1 June 1987. He has a keen interest in the Arts (just look at the walls) and has supported the Arts both commercially and on a pro bono basis for many years. His other main interest is working with companies at an operational level to grow and secure their business for the future. Ruth is the eldest of the 4 children of Dudley and Helene Burns [nee Albrecht]. Helene Burns grew up at Hermannsburg where her father, Pastor Albrecht ran the Hermannsburg Mission until 1952. Ruth has many wonderful memories of trips to Central Australia to visit her Nana and Papa Albrecht. One very memorable highlight was being taken for a ride in the back of Albert Namatjira’s truck with a large number of other children. Nana and Papa Albrecht, and Ruth’s mother Helene, never lost their connections with the folk in Central Australia. Pastor Albrecht and Helene Burns spoke Western Aranda fluently. 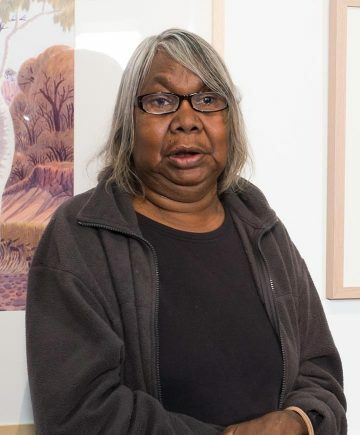 Ruth has continued to maintain these connections, including close connections with the Namatjira family. She also speaks a few Western Aranda words! Ruth’s family heritage engendered in her a love for art, in particular the watercolour art from Hermannsburg. Ruth has been a self employed dentist with her own practice for the past 33 years in Melbourne. She grew up in Adelaide, and graduated from Adelaide University. She worked in Horsham in country Victoria for 5 years where she met her husband Howard, with whom she had two sons, Sam and James. The Namatjira Legacy Trust is a Charitable Organisation with Deductible Gift Recipient status (DGR). All donations over $2 are tax deductible. SIGN UP AND STAY IN TOUCH. Sign up here to become a friend of the Namatjira Legacy Trust and stay up to date with what we are up to.